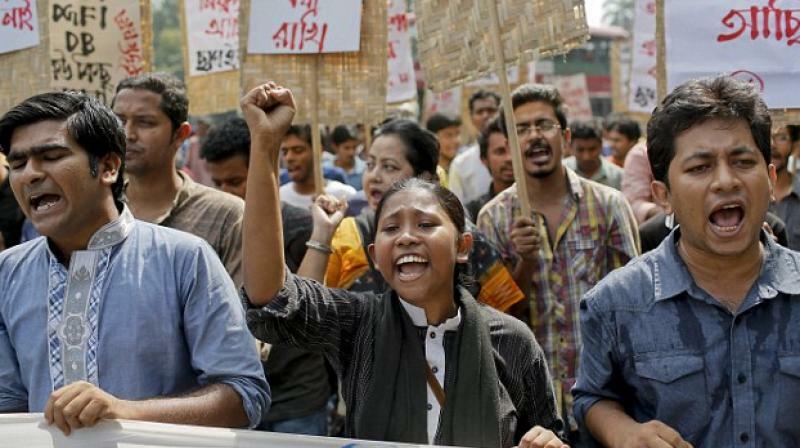 Bangladesh could drop Islam as the country’s official religion following a string of extremist attacks against people of other faiths. The supreme court in the South Asia nation has began to hear arguments which challenge Islam’s status as the official state religion. The argument intensified after a spate of attacks against people of other religions such as Hindus, Christians, and minorities Shi’ites, which have been blamed on Islamic extremists. There is some dispute as to who exactly is responsible for a string of recent attacks. Bangladeshi officials claim the perpetrators are homegrown terrorists, but the head of U.S. intelligence has warned that transnational terrorist organizations, such as the Islamic State, are responsible. Attacks have included the murders of bloggers and journalists, the shooting of Shia Muslims in prayer at a mosque by majority Sunnis and attacks on Christian priests and leaders. Islam was declared as the state religion in 1988 by the country’s constitution.